Any Guide and Monument entrance charges, Tipping at Hotels, Portrages at railway stations, Restaurants or any other locations other than Airports / stations. Camera, Video Fee (Nominal charges) at the monuments or any particular performances / shows. Supplement for the Domestic Air Fare is provided separately. Arrival Kolkata .Upon arrival you will be met and assisted by our company representative at the Airport. Transfer to the Hotel for Check in. Overnight at Hotel in Kolkata. Post breakfast check-out half day sightseeing, transfer to Howrah railway station board at Train: Jan Shatabdi Exp. for Patna. Arrival Patna you will be met and assisted by our company representative at the railway station and Transfer to the Hotel for Check in. Overnight at hotel in Patna. Morning after breakfast check out and drive to Kushinagar. Kushinagar is the place where Buddha chose for his Mahaparnirwana, or final exit from this earth. Kushinagar has two important places – One is where The Buddha attended Nirvana (or passed away), The Other place is where he was cremated. The Mahaparnirwana stupa is surrounded by ruins of ancient monasteries. On arrival at Kushinagar, check in Hotel. Dinner & overnight at Hotel in Kushinagar. Morning visit Mahaparinirvana temple & Rambhar Stupa (cremation place of Lord Buddha). After breakfast leave Kushinagar for Varanasi. On arrival transfer to hotel. Sarnath, near Varanasi is the place where Lord Buddha preached his first Sermon. In the evening go to see the Aarti ceremony which takes place by the Ghats.. Overnight in Varanasi. Morning take a boat ride in by the ghats in Varanasi. 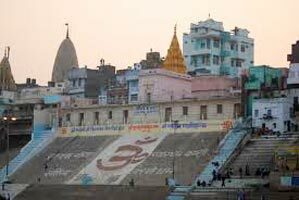 Also visit the narrow alleys of Varanasi.. Proceed to take an excursion of Sarnath. Visit the Dhamekh Stupa which is one of the prominent Buddhist structures in India. Dhamek Stupa was constructed by the great Mauryan King, Ashoka. Also visit Ashoka Pillar and Sarnath Museum. Return and overnight at Hotel in Varanasi. After breakfast drive to the Bodhgaya, On arrival at Bodhgaya, transfer to hotel. 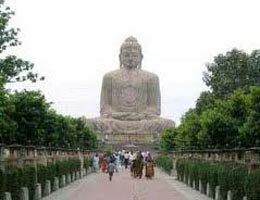 Bodhgaya- the place where Lord Buddha attained Enlightenment under the sacred Bodhi Tree. Overnight in BodhgayaAbout Bodhgaya: Bodhgaya is the place where 2500 years ago in the 6th century BC, Siddhartha attained enlightenment under a banyan tree to become the Buddha. Bodhgaya is also the Spiritual home of the Buddhists. The Mahabodhi temple is located at the place of Lord Buddha’s enlightenment. It is believed to be the same temple which Xuanzang (also knows as Hieuen Tsang) visited in 7th Century. The temple has been restored and rebuilt over the centuries. A large circular stone with the Buddha's footprints is kept in a small shrine on the left. In the same temple complex is the Bodhi Tree, Which is said to be the descendent of the tree under which Buddha attained enlightenment. After Breakfast Full day tour of Bodhgaya visiting Mahabodhi Temple, Animeshlocan Chaiyata, Mohanta's Monastery, Ratnagar, Archaeological Museum, Tibetan Monastery, Thai Temple & Monastery, International Buddhist House & Japanese Temple, Buddhist Monastery of Bhutan, The Burmese Temple, The Chinese Temple & Monastery. Later Departure transfer to Gaya Railway Station, Overnight in Train. Arrival Howrah Railway Station. Meet our representative and transfer to hotel for Check in. 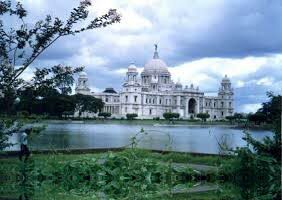 Later, full day Kolkata city tour, visit BBD Bagh – the heritage area of Kolkata, Victoria Memorial, a building dedicated to Victoria, former Queen of the United Kingdom, Indian museum, Birla Temple, Mother Teresa house. Enjoy a view of the Howrah bridge spanning across the Hooghly River. 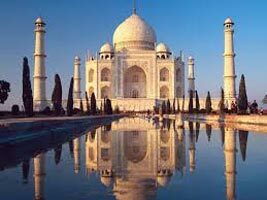 After Breakfast check out hotel and departure transfer Kolkata Airport. Service End. Destinations Covered : Varanasi, Patna, Kushinagar, Shravasti, ..